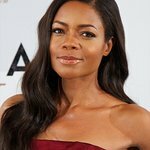 Hollywood actress Naomie Harris has become an ambassador for women and children’s rights following a recent trip to South Africa as Save the Children claims increasing violence against women and children has been “normalised” in many societies. The actress, who plays Winnie Mandela in the new film of Nelson Mandela's life, Mandela: Long Walk To Freedom visited several Save the Children projects including a crèche and a scheme that empowers children against violence and exploitation in rural Free State. Speaking during her visit to the country, Harris said, "Nowhere has affected me quite like South Africa. I love the spirit of this country. But there are also major problems. South Africa has one of the strongest economies in Africa yet many still live in poverty – and one in five children don’t go to school. Those that do face a daily threat of violence and sexual assault – and that shocks me deeply. During her visit, Naomie visited the Hlayisanani Day Care Centre situated in Setswetla, in the heart of the sprawling township of Alexandra Alina where poverty and unemployment rates are rife. The crèche here provides much needed stimulation for children as well as hot meals which, for many, are the only meals they get. Here she also met three girls; 14 year old Busisiwe and Tlaleng and Kgathatso, both 15, who are all benefitting from Save the Children’s Safer South Africa for Women and Children programme. Save the Children run Children’s Committees designed to empower children, giving them the skills, knowledge and confidence to speak out against violence directed at both themselves and within the wider community. During a time when there is increasing recognition internationally that there hasn’t been enough focus on stopping the root causes of violence against women and children, the Children’s Committees are empowered to raise peer awareness, provide peer support and improve referrals made within the schools. As part of her new role for Save the Children, Harris hopes to visit more of Save the Children’s programmes which are making a real difference to the lives of the most vulnerable women and young girls.